The annual West Coast Pipers Tionol ("gathering" in Gaelic) brings together players and fans of the Irish uilleann pipes for a three-day musical feast, including tonight's extravaganza concert featuring Eamonn Curran and Tiarnán Ó Duinnchinn, masters of Ireland's haunting, melodious bellows pipes, plus various musical guests. Eamonn was born into music thanks to his father Ned, the great fiddle and flute player with roots in the Fermanagh tradition. 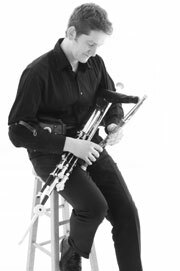 Having inherited much of his father's legacy of music, Eamonn currently teaches pipes in the Armagh Pipers Club. As a professional player, he has toured and recorded extensively at home and abroad with groups such as The Reel Union and Dolores Keane. Eamonn resides in his home town of Monaghan, where he is principal teacher in Knockatallon Primary School. 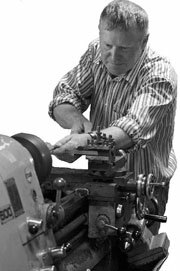 Tiarnán started playing the uilleann pipes when he was about nine years of age, in The Armagh Pipers Club, and went on to win four Fleadh Ceoil (1st place) All-Ireland titles and two Oireachtas titles. Tiarnán has been touring and performing worldwide on a regular basis since 1995, as a member of various bands and as a solo performer.